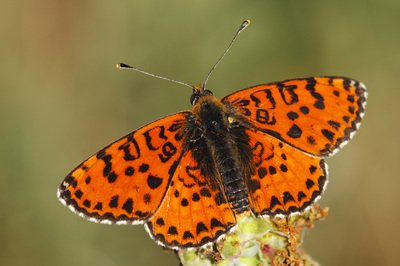 The upperside of the male is bright orange or brick-red. 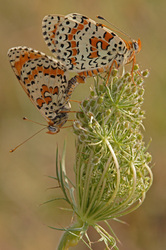 The female ground colour is paler than that of the male in all races and the black spots are larger, but the insects are usually heavily dusted with grey scales. 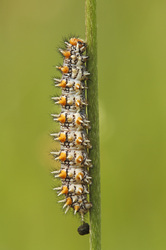 The undersides show much less variation. 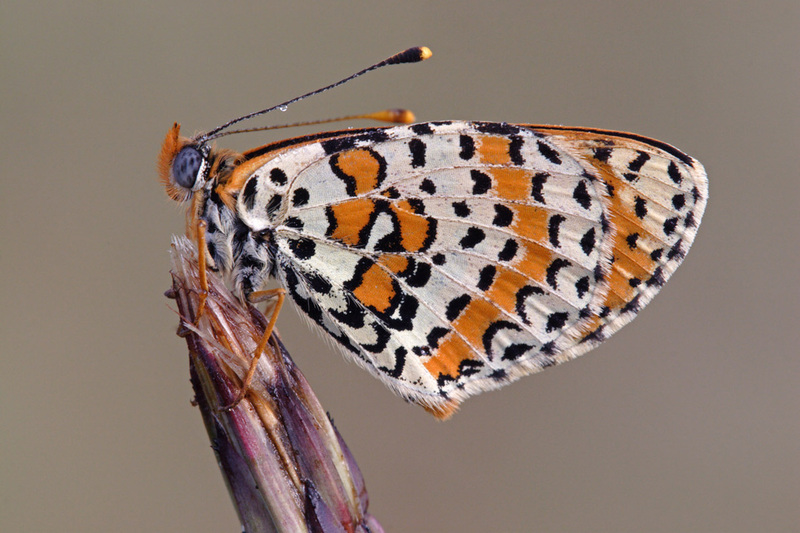 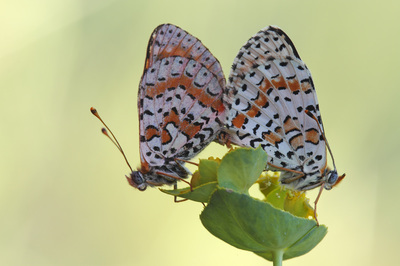 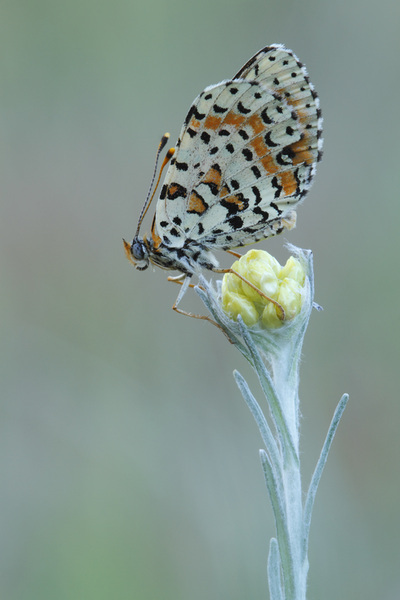 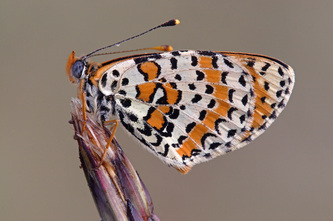 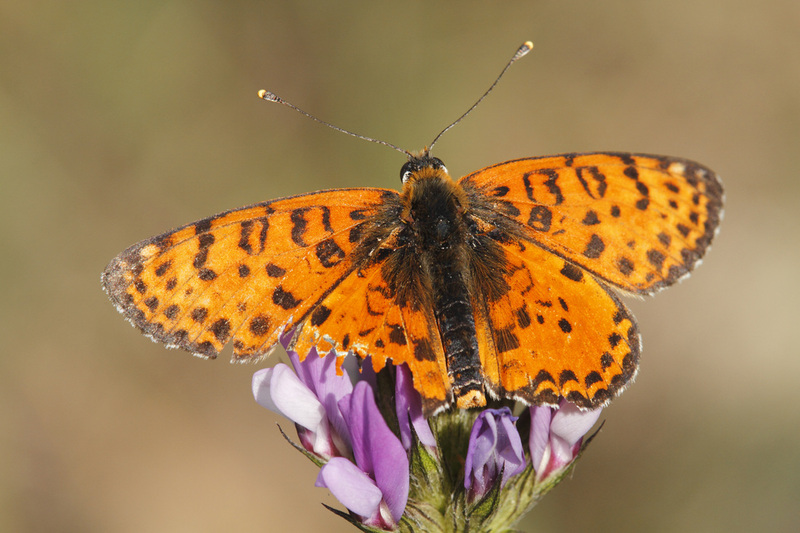 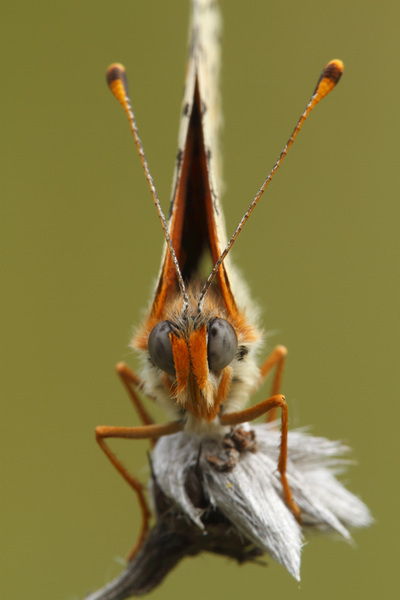 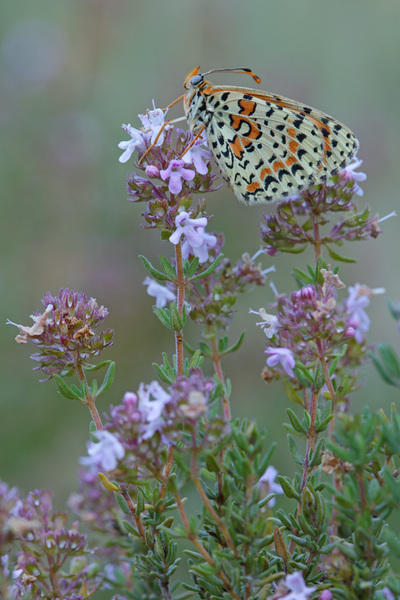 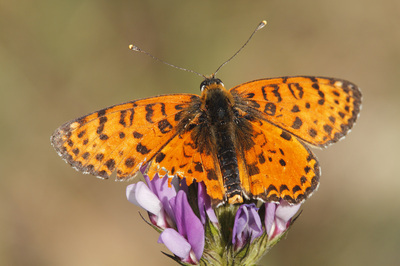 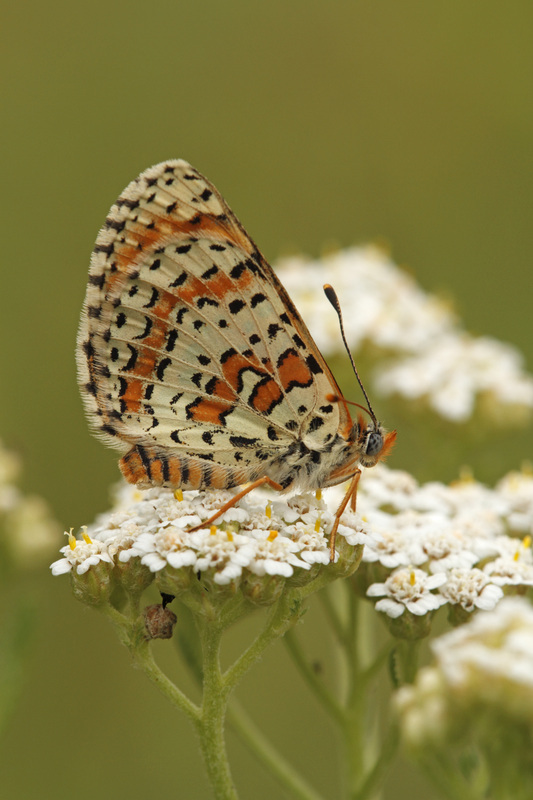 The forewing is orange, lightly spotted with black and with a yellow or cream outer margin. 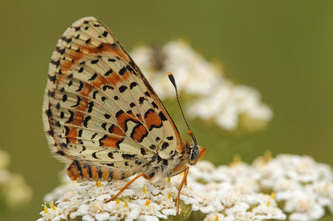 The hindwing is cream or yellow with two orange bands bordered with black spots. 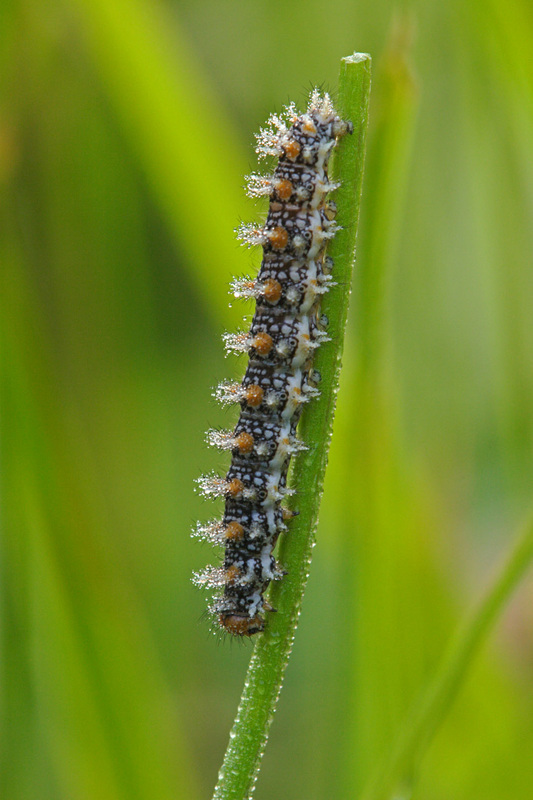 The inner band is very irregular, but always continuous. There are numerous other black spots, those near the outer margin being clearly rounded or oval. 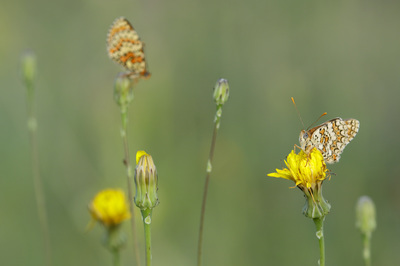 Flight from April to September in one or more broods. 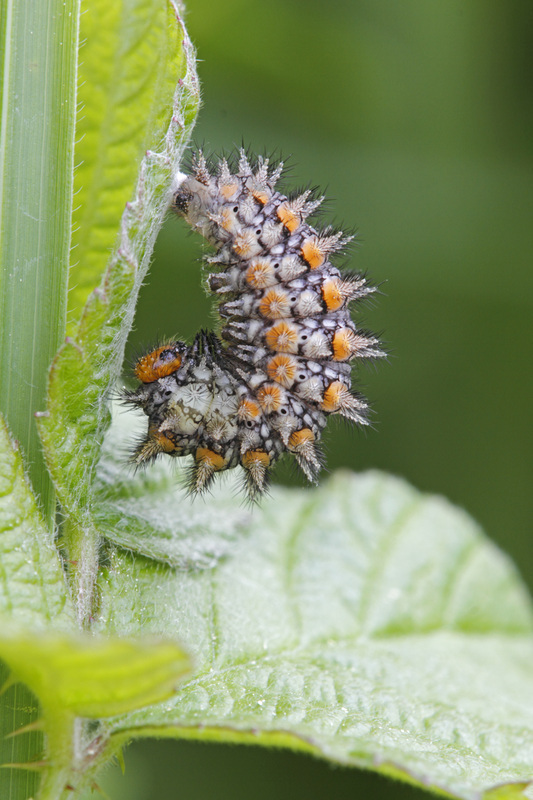 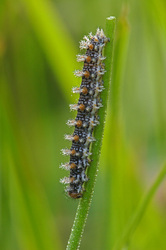 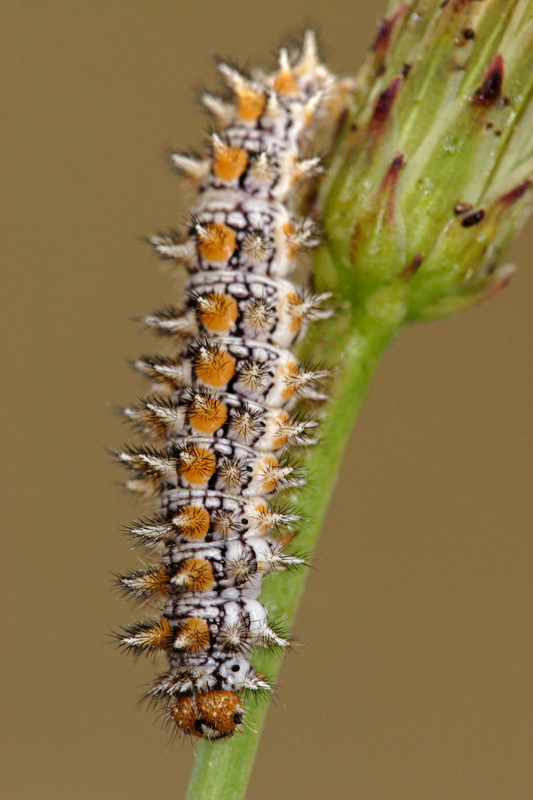 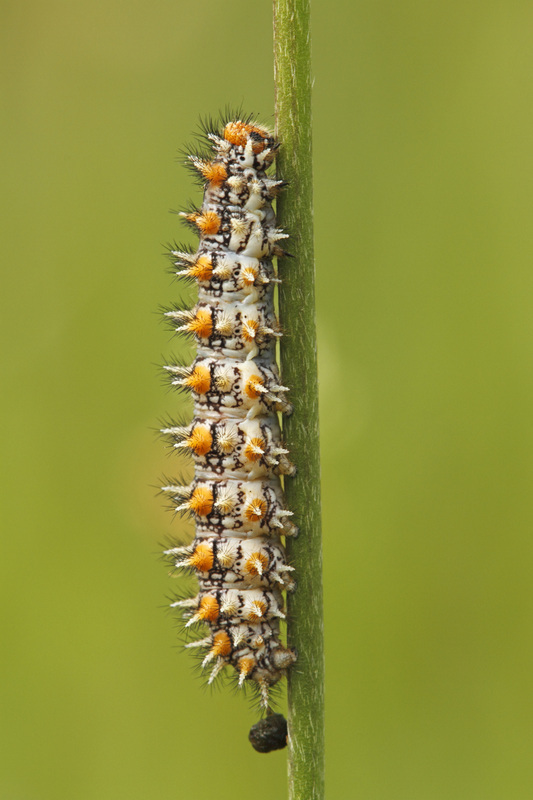 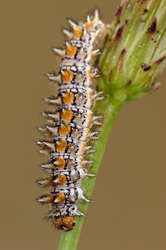 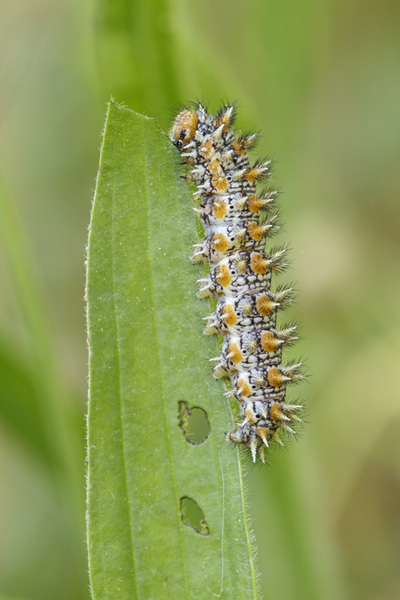 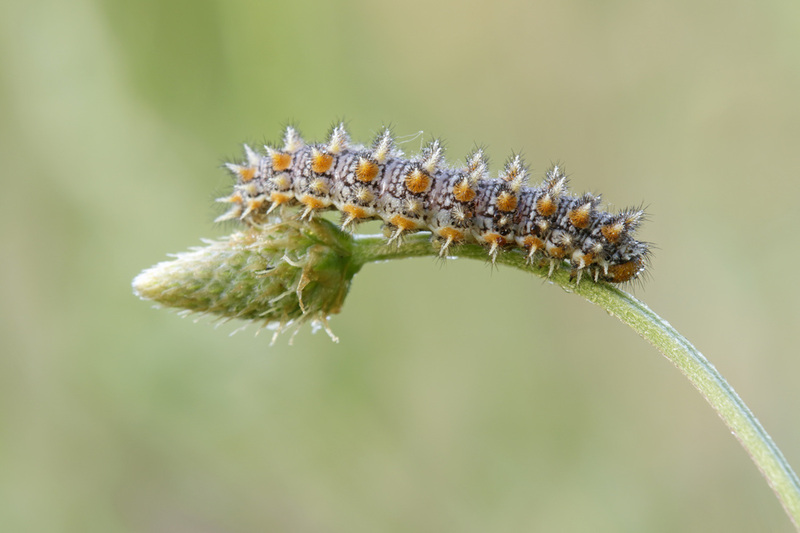 The larval foodplants are mainly plantains, but the caterpillars also eat toadflaxes, mulleins, speedwells and foxgloves. 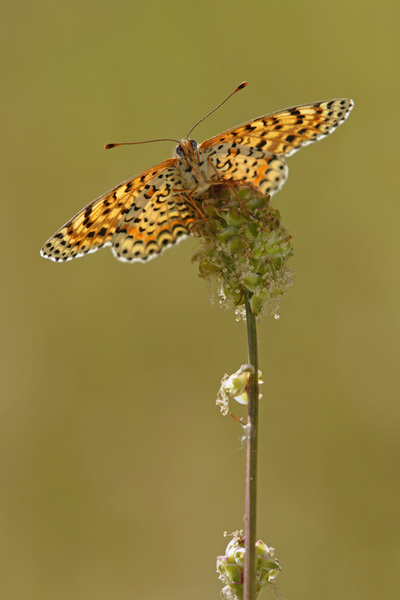 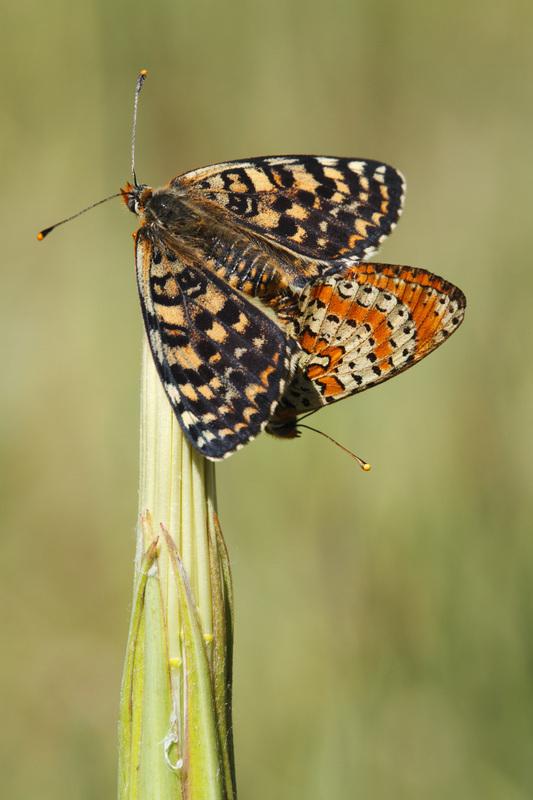 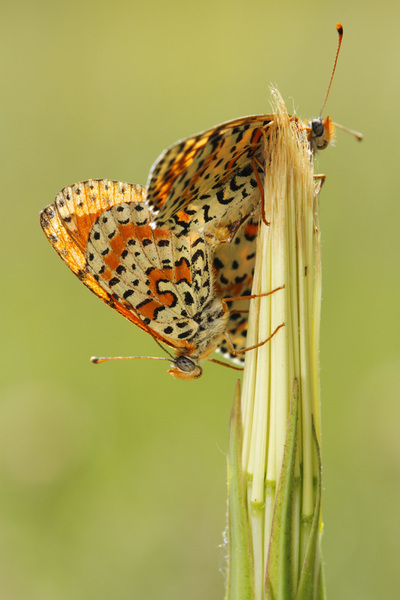 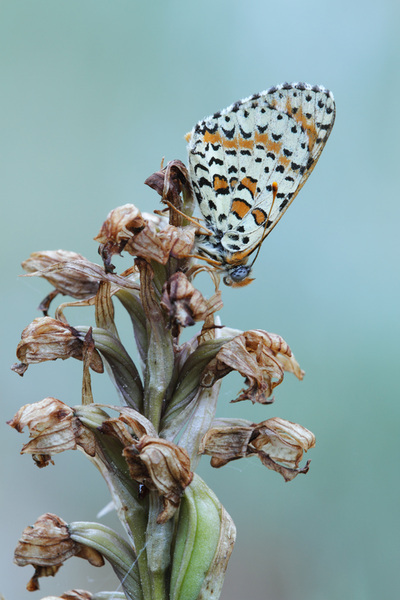 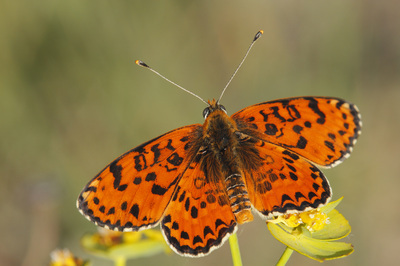 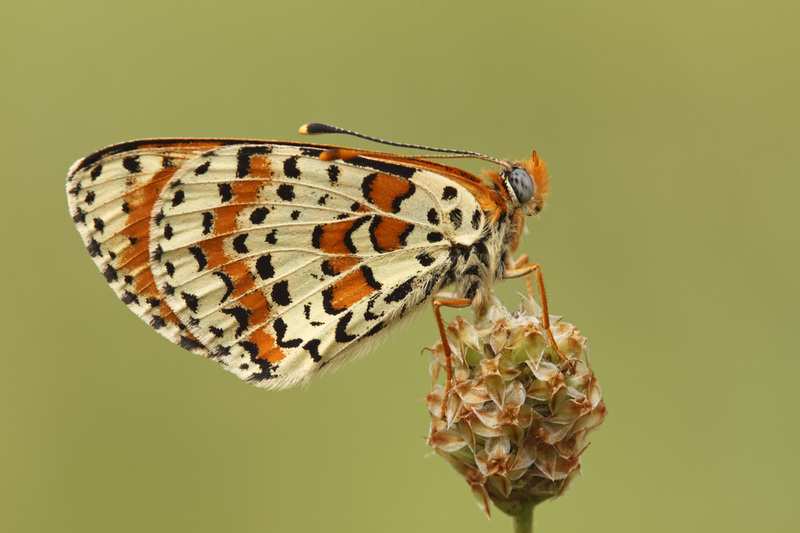 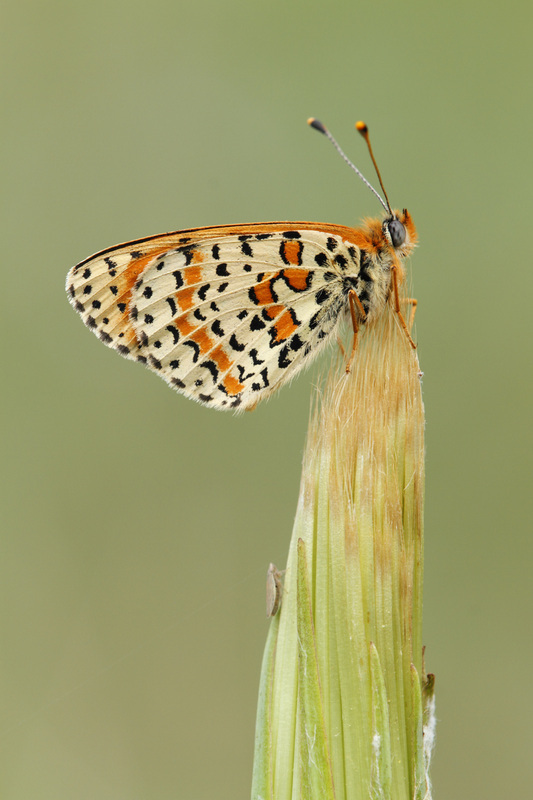 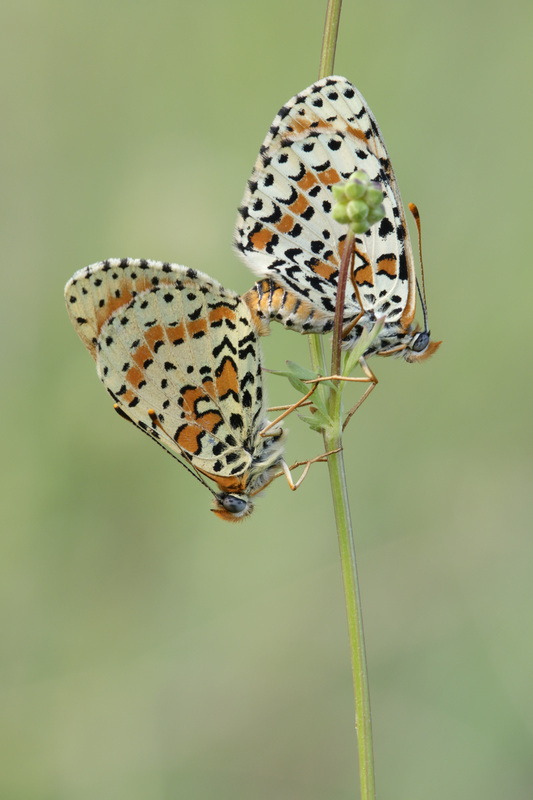 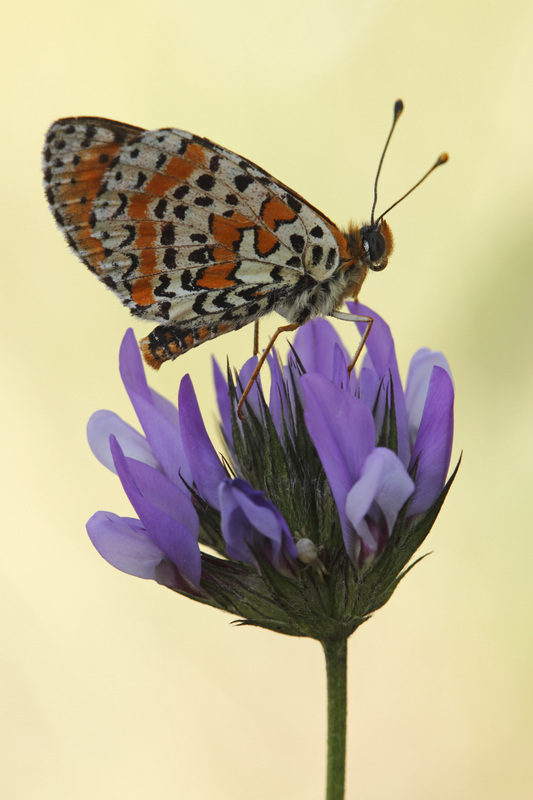 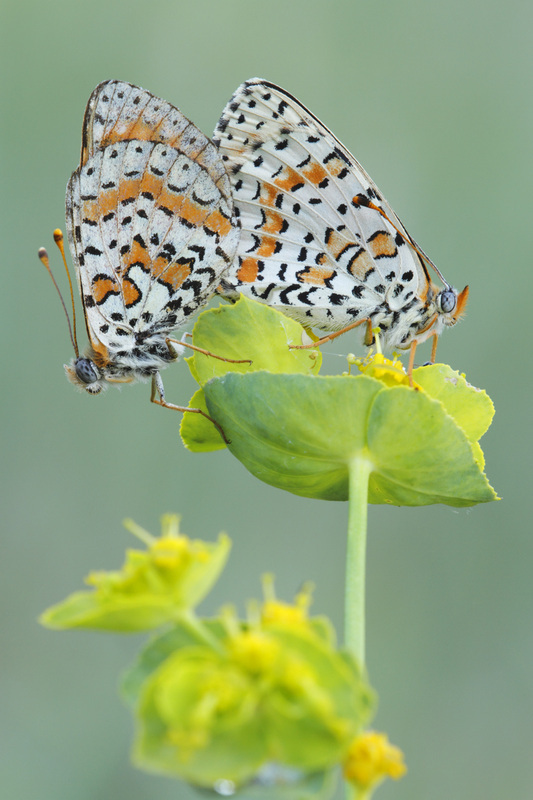 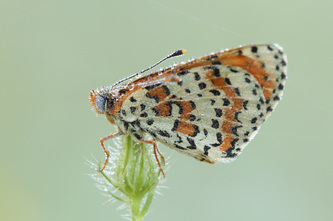 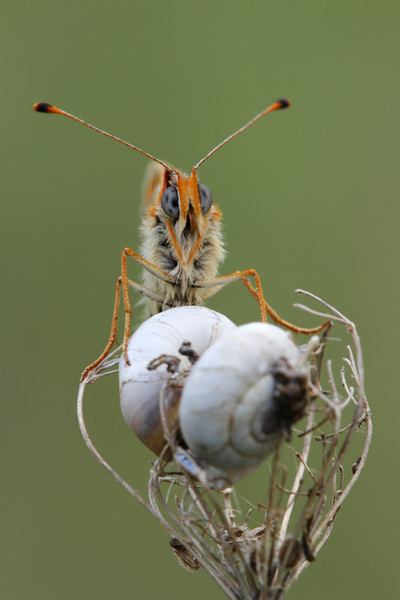 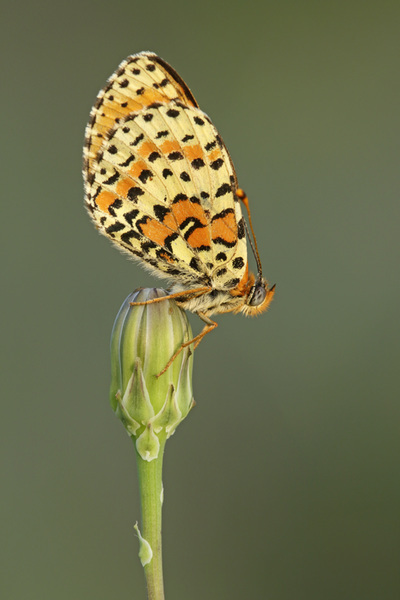 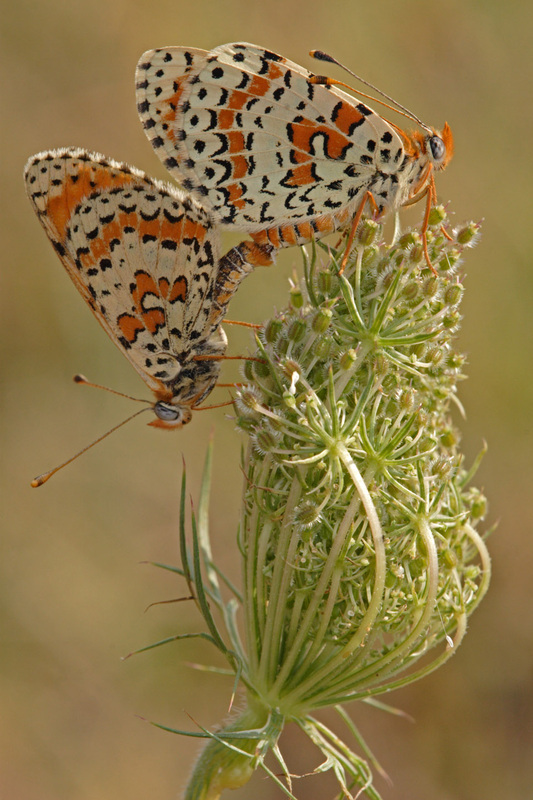 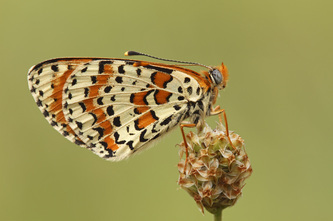 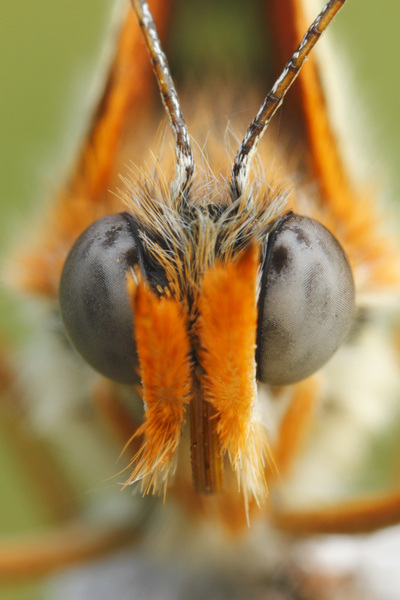 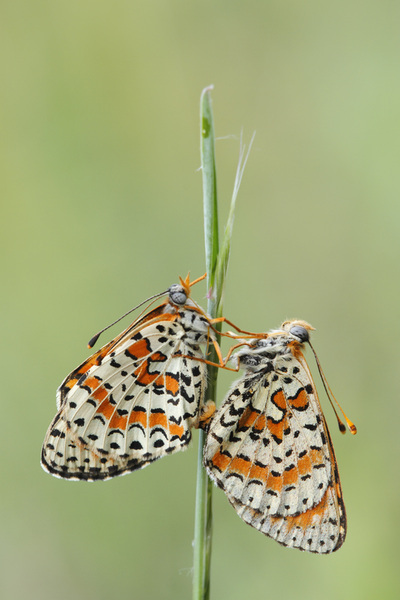 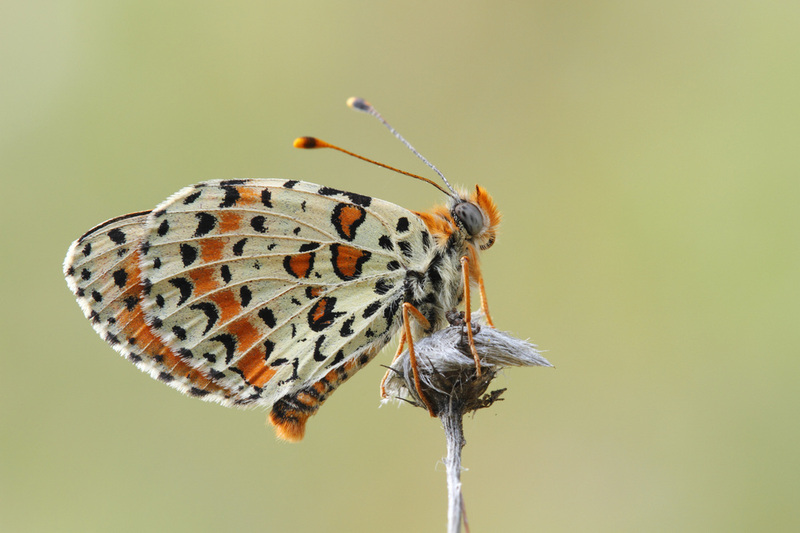 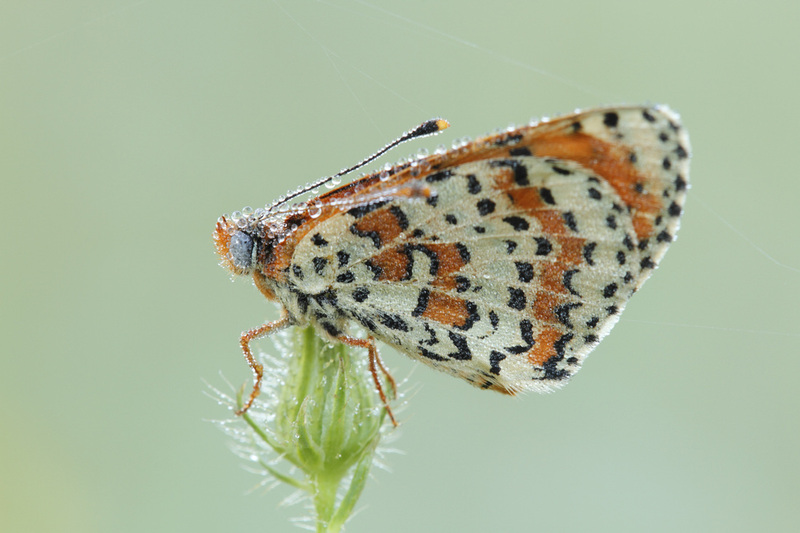 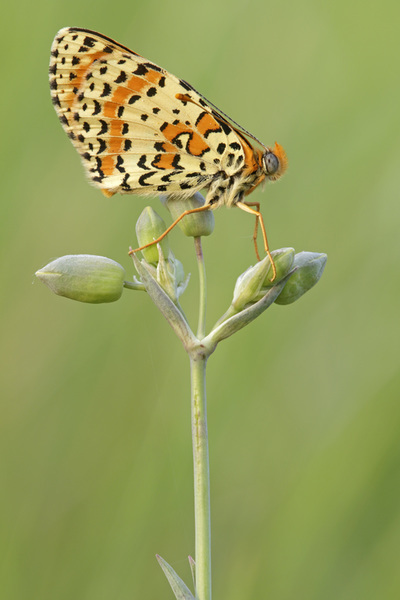 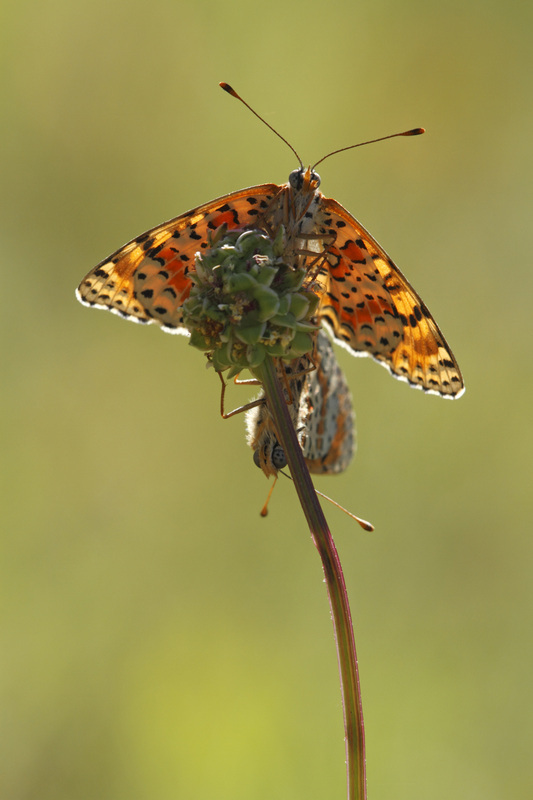 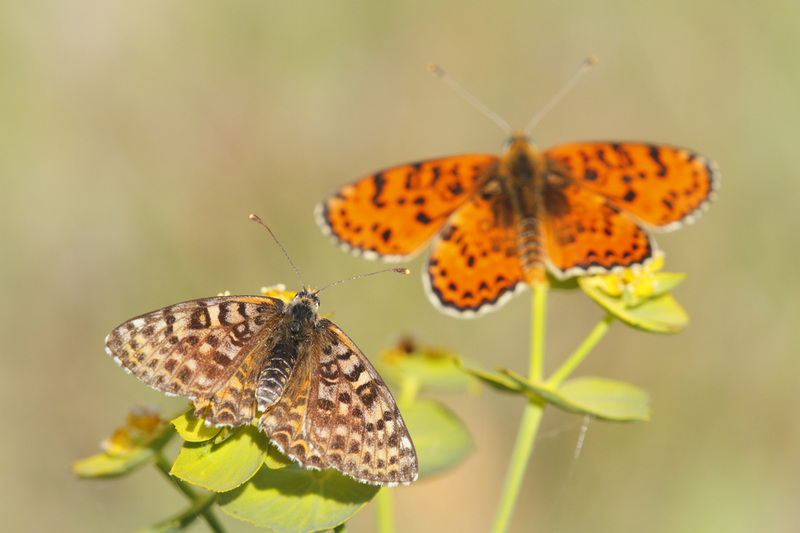 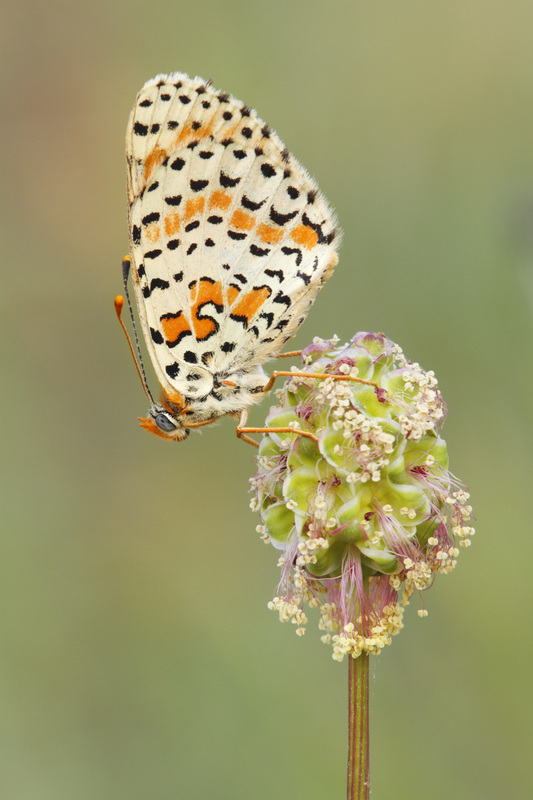 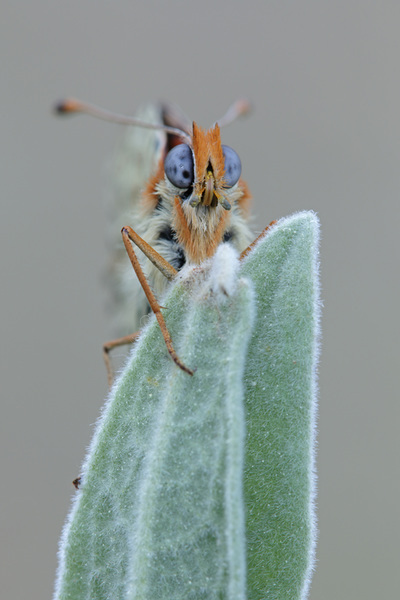 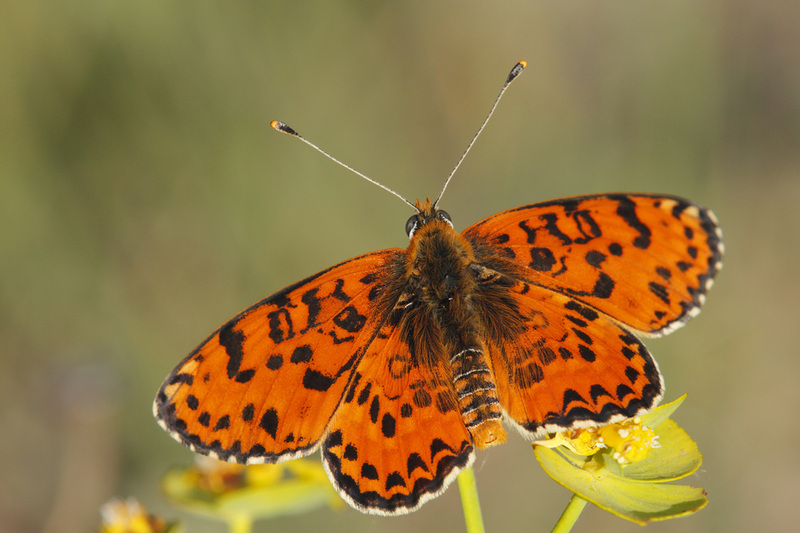 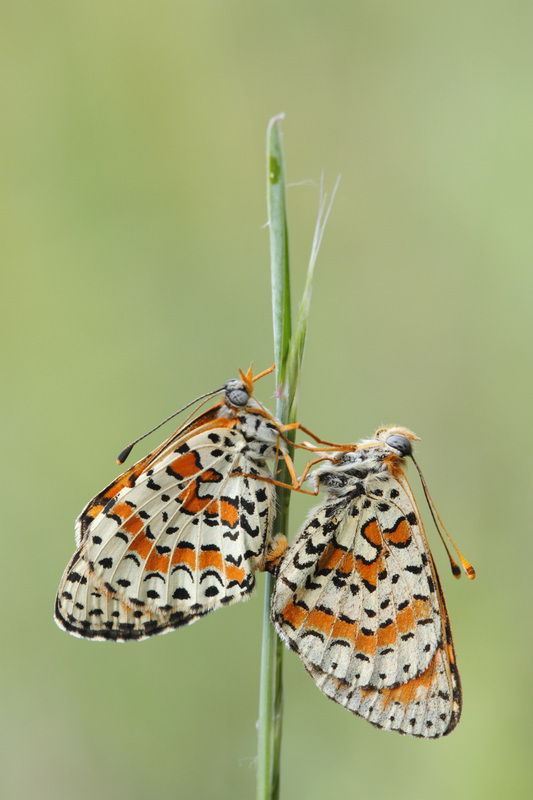 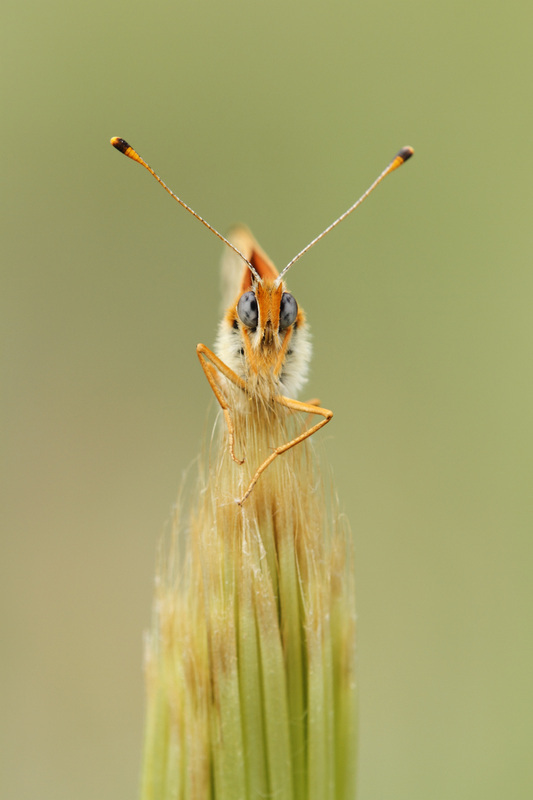 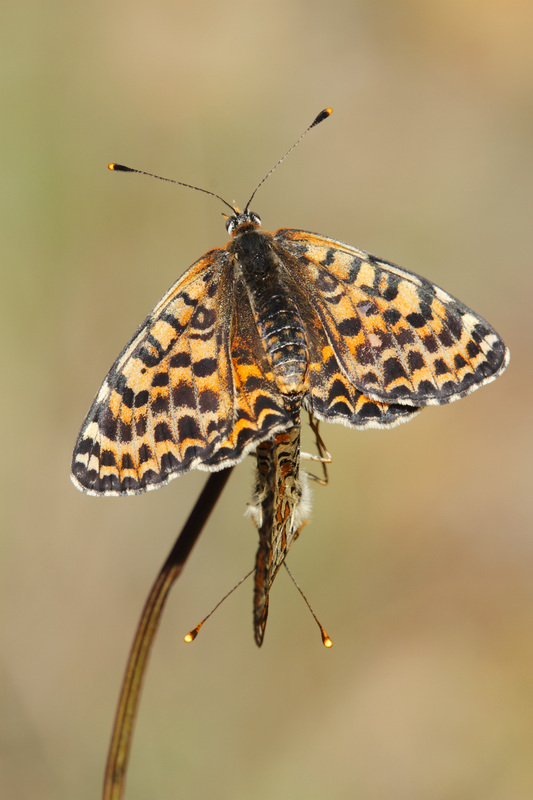 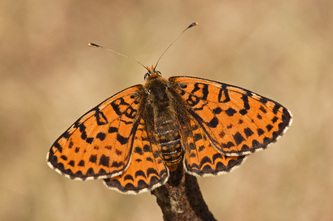 This link will lead to the metamorphosis of the Spotted Fritillary.